The massive four week majestic Esto Es Tulum, taking place in the ancient and beautiful Tulum, Mexico from December 28th to January 26th. Beginning on Dec 28th, brands like Circoloco, The Martinez Brothers, Bedrock, Luciano & Friends, Last Night on Earth, Do Not Sit On The Furniture, Muse, ANTS and Acid Mondays to the stunning jungle lagoon location of 'Cenote Casa Tortuga', which translates to 'Turtle Cenote'. For those unaware, a cenote is a natural underwater reservoir / lagoon which only occurs in the limestone of Yucatán, Mexico, making this one of the most unique and natural beautiful party destinations in the world. 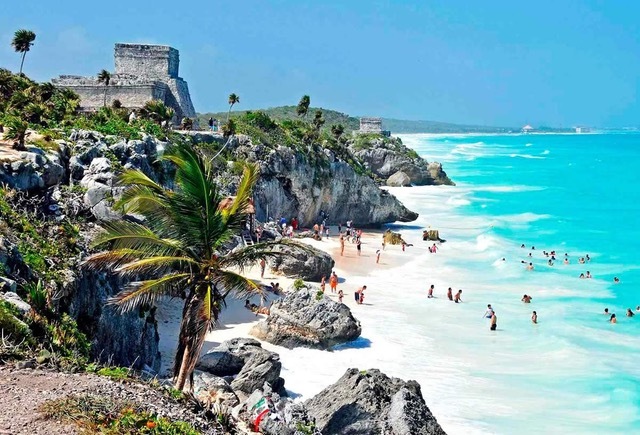 Tulum is one of Riviera Maya's most important archaeological areas and offers a beautiful mix of ancient Mayan cultures, with rich colors and textures, beautiful green-blue sea, warm sandy beaches and hot sun guaranteed. It boasts thousands of luxury and boutique accommodations in the local area, all a few steps from the Caribbean sea.